I've used the chart below for ages, but thought it would be nice to do a higher-resolution version that could be printed out on a larger scale. Here is a vector PDF file of the result. See below for a large JPG image. 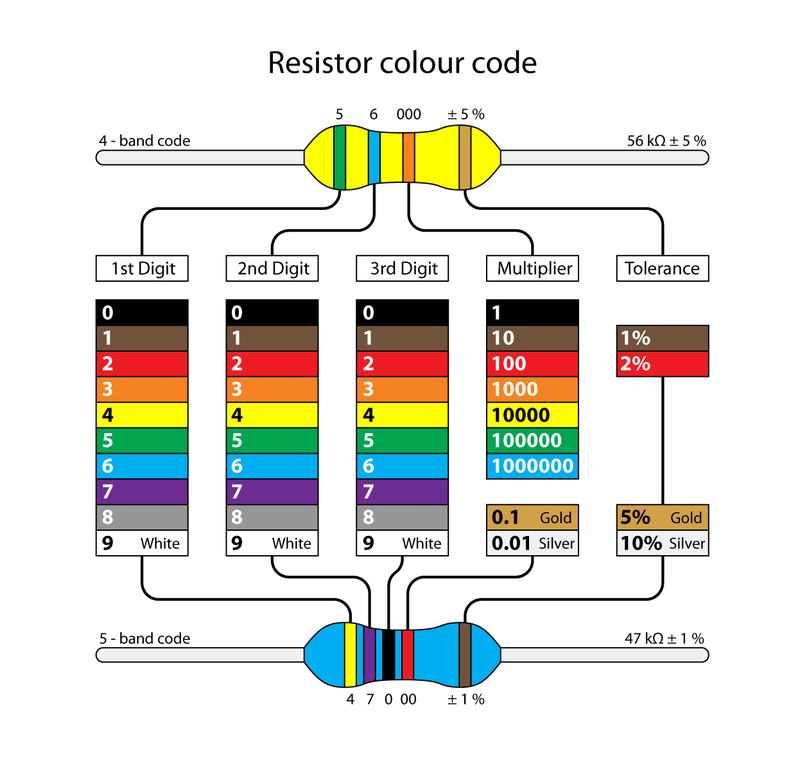 I can't remember where I originally found the chart, but I find it easier to use than most of the other charts around. 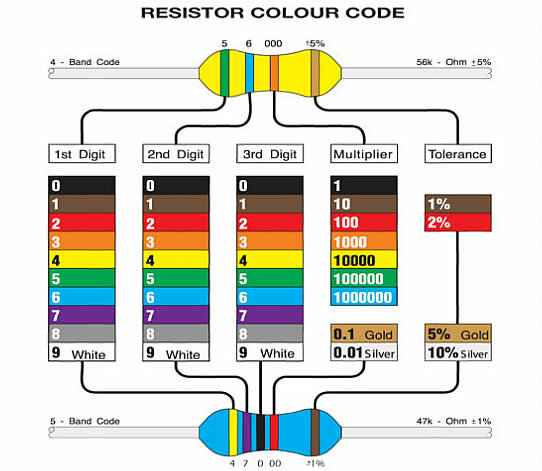 13/02/14: This chart may have come from Maplin originally - here is one of their guides on resistors, and it has the same chart.